Sole SB700 Light Commercial Exercise Bike is indoor as well as outdoor exercise bike. It takes the user to next level exercising with a comfortable and affordable option. This exercise bike has features like adjustable seat and handlebars , a heavy duty flywheel , integrated console display , wireless heart rate chest strap and Kevlar breaking design . 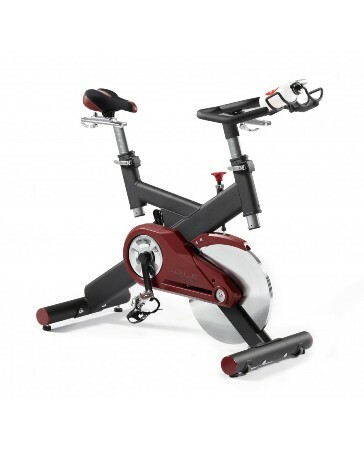 ToughTrain 3.5 out of 5 Good exercise bike, having average features and available in a reasonable price. *Note: Most of the sites, stores or shopping portals listed above sell Sole SB700 Light Commercial Exercise Bike with discounts and other exciting offers. There is a possibility that the some of above websites are not selling Sole SB700 Light Commercial Exercise Bike now. Toughtrain.com is not liable for such cases or instances. Also we do not recommend any seller for Sole SB700 Light Commercial Exercise Bike and a buyer should buy from where he/she gets best deal with quality of products, service and on time delivery (shipment).